Freshwater prawns (Macrobrachium rosenbergii) have been grown to market size in several types of monoculture systems, in both commercial farms and research centres. They have also been grown in brackishwater, in cages and in pens but this species is normally monocultured in earthen ponds supplied with freshwater at a wide range of temperatures. This type of grow-out procedure forms the major subject covered in this chapter. The grow-out of M. rosenbergii in ponds has been described in detail in a number of practical manuals and included in various reviews (Chapter 1). This chapter summarises and updates the information on tropical and subtropical management systems found in those publications. Freshwater prawn grow-out management in temperate regions is covered in Chapter 10. Freshwater prawn monoculture may be extensive, semiintensive or intensive. These systems differ according to the farm plan and the level of farmer intervention in the production process. According to the intensity of the system, productivity may range from below 0.5t/ha/yr to more than 5 t/ha/yr. Wickins & Lee (2002) discussed the grow-out of crustaceans cultured in tropical climates at various levels of intensity and categorised the systems as extensive, semi-intensive, intensive and super-intensive. Although the words extensive, semi-intensive and intensive are frequently used in aquaculture, the meaning of these terms has been much confused, mainly because intensity categories cannot be defined precisely. Valenti (1998a) standardised each level of intensity for freshwater prawn culture, as described below. Extensive culture of prawns occurs in ponds, in pens constructed in natural waters and in impounded areas built for other purposes, as for example, irrigation canals, reservoirs and rice fields (paddies). Such systems are generally stocked at low densities (1-4/m2), using postlarvae (PL) or juveniles that are generally wild-caught. There is no control of water quality, nor the growth or mortality of the prawns, and supplemental feeding is not normally supplied. Prawns feed on natural food, but sometimes the natural productivity is increased through the use of organic fertilisers or by-products are supplied as food. Prawns are exposed to predators, competitors and other environmental adversities. Usually, it is impossible to drain these bodies of water or to carry out seining; hence the harvesting process is difficult and inefficient. The intervention of the farmers is generally restricted to stocking and harvesting but may include the addition of animal and vegetable by-products as fertilisers or feed. Construction and operating costs are very low and productivity is normally below 0.5 t/ha/yr. This level of intensity normally has a low environmental impact and requires simple technology and minimal investment. It may be very suitable for promoting social and economic benefits in certain places, such as Vietnam (Lin & Lee 1992; Phuong et al. 2006; Son et al. 2007) and the Amazon, where the development of extensive prawn culture might favour the riverine population (Moraes-Riodades 1999; Moraes-Riodades & Valenti 1999). (Nair & Salin 2006); yields range from 300 to 980 kg/ha (Sukumaran & Muthukumaran 2004; Kutty et al. 2009). Philips (2002) observed that in the Mekong delta (Vietnam) there were 2940 Macrobrachium ponds by 1999, which were typically 50 to 200 m2 in area and stocked with 1 to 5 PL/m2 and also 6730 ha of rice-prawn plots stocked with 1 to 2 PL/m2. In ponds, Macrobrachium were fed a mixture of rice bran, broken rice, fishmeal or trash fish, while no feed was provided in rice-prawn systems. In Bangladesh, M. rosenbergii is extensively farmed in ghers, which are enclosures made by building higher dikes around the rice field (Asaduzzaman et al. 2006a). Some farmers employ a mean stocking density of about 22 000/ha and achieve an average annual yield of about 400 kg/ha. Wild seed are stocked in these systems in both Vietnam and Bangladesh, although hatcheries have been developed. Commercial and experimental production of freshwater prawns in paddy fields has been accomplished in many other countries. Integrated culture is discussed in detail in Chapter 11. The use of pens or 'fence culture' (culture of wild-caught animals within barriers constructed of bamboo) in China (Wang & Qianhong 1999), India (N. Kutty, pers. comm. 1999) and Vietnam (Hien et al. 1998) has been reported. Pen culture in rivers and canals began to develop in the upstream provinces of the Mekong delta during the early 1990s (Son et al. 2005). The pens are made of bamboo, wood and nylon net and vary from 35 to 900 m2. They are provided with bunches of trees as substrates; generally they are stocked with wild seed in high densities (40-80/m2) and prawns were fed with farm-made feed, using locally available natural food items as ingredients (Tan 2001; Son et al. 2005). Although they are typically built and operated as an extensive system, mean productivity reaches 5.2t/ha/yr in southern Vietnam (Son etal. 2005). Semi-intensive culture is carried out in earthen ponds using a number of management approaches. The location and construction of such ponds is described in Chapter 8. Stocking is accomplished with PL or juveniles up to three months old, in densities which vary from 4 to 20/m2. Fertilisation and supplemental feeds are applied. Feed, comprised of a compounded ration (Chapter 12), is supplied daily. Predators and competitors are controlled and water quality, prawn health and growth rate are monitored. Construction and operating costs and productivity are quite variable, according to the place and level of technology used. Yields generally vary from 0.5 to 5 t/ha/yr. Prawns have been semi-intensively farmed throughout the world under a wide range of environmental conditions and management strategies, which take advantage of the natural potential of the location and the available technology (Valenti 1998a). The main production system for giant river prawns in India is semi-intensive monoculture in small to medium-sized earthen ponds (Nair & Salin 2006). Semi-intensive monoculture is also the dominant system of freshwater prawn culture in Thailand, where most farmers stock less than 20 juveniles/m2 and produce 2.3 to 2.5 t/ha/yr (Schwantes 2007; Schwantes et al. 2007a,b). Normally, flow-through systems are used in semiintensive culture but recycling systems have recently been suggested. Experimental work by Yi et al. (2006) indicated that the survival, yield and feed conversion ratio (FCR) of prawns stocked at 19/m2 was better in a closed aeration system followed by an integrated recycling system, than in a flow-through system. Following a theoretical simulation survey, Schwantes (2007) believed that recycling systems would be promising in Thailand because they isolate production from the environment and enable the integration of organisms. Closed aeration and integrated recycling systems, if practicable, would be more environmentally friendly than open water exchange systems. Most aquaculture technicians consider the management of semi-intensive ponds very simple and fail to explore its full potential. However, this form of culture exhibits a high degree of biological complexity, as is discussed in section 9.1.2. Semi-intensive freshwater prawn culture has been the most commonly used system throughout the world. This chapter therefore focuses mainly on this system. Intensive systems include culture in small earth or concrete ponds (up to 0.2ha), provided with high water exchange and continuous aeration. Ponds are stocked with juveniles in densities above 20/m2. Production is totally reliant on the aquafeed presented. Natural feeding is negligible and the animals require an artificial feed that supplies all the nutritional requirements ofthe prawns. Predators and competitors are eliminated and all water parameters are strictly controlled. Construction and maintenance costs are always high and the productivity exceeds 5 t/ha/yr from 2 to 3 cycles per year. New & Valenti (2000) did consider that this system was very compatible with the biological characteristics of M. rosenbergii, particularly its social behaviour and heterogeneous growth (Chapter 16). However, some interesting results have recently been obtained. In China, it is common practice to stock ponds with PL at 120/m2 or juveniles at 45/m2; yields in subtropical areas are reported to vary from 4.5 to 6t/ha/yr of 9g prawns from one annual cycle, or to exceed 11 t/ha/yr in 2 annual cycles in tropical sites. The production of such small prawns is an inevitable result of such high stocking densities. In this case it is a response to market demand, since Chinese consumers are accustomed to the small size of their indigenous species, the Chinese river prawn (Macrobrachium nippo-nense). In addition, it has been found that, using grow-out technology derived from that developed for temperate zones, in a tropical area, 3 crops of 2 to 2.5 t/ha is possible and productivity may attain at least 7 t/ha/yr (Valenti 2002; Valenti & Moraes-Riodades 2004). Considering that China is the largest producing country it seems that a substantial portion of M. rosenbergii is currently (2008) produced intensively. Some experimental or small-scale intensive culture carried out indoors or in small tanks has also been reported. Sagi et al. (1986) described experimental male monosex intensive culture performed in cages in Israel. These authors estimated that productivity might reach more than 12 t/ha/yr under these conditions. Sebastian et al. (1992) described experimental intensive culture in India that was carried out in circular concrete tanks with conical bottoms, but productivity did not exceed 3.5 t/ha/yr. Currently, indoor running water culture is practised in some areas of China, although their contribution to the total cultured prawn production is limited (Weimin 2007). Intensive culture may also be performed in net cages within reservoirs, rivers and lakes. Experimental culture of freshwater prawns in cages has been reported in Thailand (Menasveta & Piyatiratitivokul 1982; New & Singholka 1985) and Brazil (Marques et al. 1998;Mendes etal. 1998). In each case, 2 to 6 m2 nylon cages were used, suspended in irrigation ditches or grow-out ponds. Results suggested that there was great potential for using this system to produce juveniles and a high biomass of small prawns (~ 10 g). Cuvin-Aralar et al. (2007) conducted an experimental cage culture of M. rosenbergii in a lake in the Philippines for 5 months and obtained high annual yields ranging from 0.45 to 1.09 kg/m2 of actual cage area, using stocking densities of 15, 30, 60 and 90 juveniles/m2 of cage bottom. The grow-out of freshwater prawns in cages in China has been noted by Wang & Qianhong (1999). Practised in 15 to 20 m2 cages situated within lakes, this system was said to yield 1.0 to 1.5 kg/m2 from a 4-stage (increasing mesh sizes) management system (M. Weimin, pers. comm. 1999). However, Liu et al. (2007) warned that the cage culture in reservoirs or deep lakes may cause aquatic eutrophication and thus would have limited development in the future. A detailed discussion of the general principles of freshwater pond ecology has been provided by Delince (1992) and Boyd & Tucker (1998). Valenti (1995, 1998a) described the specific features of the freshwater prawn pond ecosystem, which are summarised in this section. Earthen prawn ponds are complex and unique, but resemble other aquatic ecosystems. Dynamic ponds use continuous water exchange and show characteristics intermediate between natural lentic (static water) and lotic (moving water) aquatic environments. Static ponds only replace seepage and evaporation losses, without water exchange; these only demonstrate lentic characteristics. Grow-out ponds are ecosystems at the first stages of heterotrophic ecological succession. When an earthen pond is filled, a process of ecological succession begins. This process can be heterotrophic or autotrophic, according to the amount of available organic matter at the beginning (Odum & Barrett 2007). Succession is autotrophic when light is the main source of energy to induce the development of the biotic community. In contrast, the succession is heterotrophic when the event begins in an environment rich in organic matter and organic detritus is the primary source of energy. Freshwater prawn ponds generally receive an application of organic fertiliser before filling with water, which acts as a source of energy for the establishment of initial seral stages (biotic communities). Thus, the succession is typically heterotrophic; detrital food chains and decomposition processes are predominant. Organic fertilisation, feed applied by the farmer, and organic residues carried by the intake water provide the energy to maintain the process throughout the grow-out cycle. The basic natural factors that affect the pond ecosystem and control its development are the climate (temperature, light, wind and precipitation), the soil from which the pond was constructed, and the chemical and biological characteristics of the intake water. 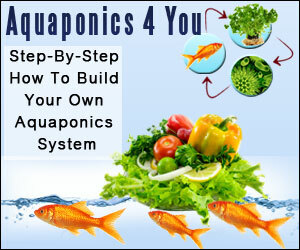 Other factors are introduced and controlled by the pond operator, namely feed, fertilisers, water exchange and stocking. Fig. 9.1 Main energy inputs and outputs in a typical semi-intensive freshwater prawn monoculture pond. Note: aerators, which are used in high-technology semi-intensive systems, are not shown. Benthos are species with exponential growth curves, which can settle and disappear quickly from the ecosystem. Knowledge of these attributes is important for the proper understanding and management of ponds. Figure 9.1 summarises the energy inputs and outputs of prawn ponds. 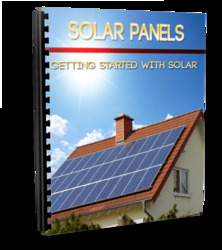 Solar energy mainly controls photosynthesis and water temperature, which directly affects the metabolic rate of the organisms present. Wind promotes the circulation of the mass of water, preventing stratification, increasing gas exchange with the atmosphere and returning nutrients deposited on the bottom to the water column. Organic detritus originates from the intake water and the air (dust, leaves, etc.). The immigrant organisms are represented mainly by phytoplankton and zooplankton, fish and insects. These reach the ponds carried by the intake water as cysts, eggs, larvae, juveniles and some adults. They are also dispersed through adherence to the bodies of aquatic birds, and to nets and other equipment, or as the eggs of terrestrial or flying animals with aquatic larvae, mainly insects. Fertilisers, artificial feeds and prawns are introduced by the farmer and their characteristics are discussed in other chapters of this book. Detritus is removed by drainage, which also transports live organisms. Emigration from ponds also occurs through animals that change to the terrestrial or flying adult phase, mainly insects. Thus, energy and materials accumulate inside the pond in two forms: as the biomass of living organisms, and as detritus (which may be suspended in the water column or deposited on the bottom). 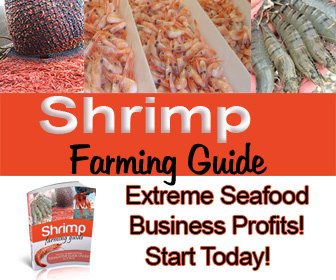 The objective of farming is to accumulate the energy and nutrients in the prawn biomass; this process occurs through biochemical transformations (metabolism), which result in growth. A simplified food web for freshwater prawn grow-out ponds is presented in Figure 9.2. The detritus category also includes the feed and organic fertilisers provided by the farmer. Fish are either casual organisms or are introduced by the farmer at a very low density merely to assist in the maintenance of water quality. The top consumers consist of adult prawns, fish and other eventually large predators. Detrital food chains are much more important than grazing food chains in freshwater prawn culture because they play a major role in prawn feeding. Prawns can occupy the second, third or fourth trophic level and their main autochthonous food is benthic organisms (Valenti 1990). When prawns consume aquafeed, they are in the second trophic level. Prawns can only access the constituents of grazing food chains after the latter have died and been incorporated into the detritus category of the food web. Solar energy, wind and the addition of chemical fertilisers affect phytoplankton and therefore enter into the grazing food chain, only indirectly affecting the prawns. In contrast, organic fertilisers are incorporated into the detritus food chain and have a direct effect on the prawns. Thus, interventions in the system by the farmer that aim to increase productivity are more effective if they are addressed to the detrital food chain and the development of the benthic community. Figure 9.3 illustrates the main material inputs and outputs of the pond ecosystem. In dynamic ponds, a pronounced import and export of materials with the adjacent environment generally occurs, because of water exchange. Figure 9.4 presents a simplified diagram of the cycling of materials, including nutrients and other minerals, in the various compartments. The importance of benthic elements for prawns is evident. The biotic community ofthe ponds is divided into spatial or functional strata, such as zooplankton, phytoplankton, nekton, neuston and benthos. 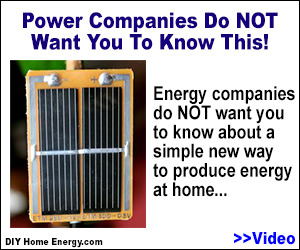 Each plays an important role in the function of the system. However, the phytoplankton and benthic strata deserve special attention in freshwater prawn culture. Fig. 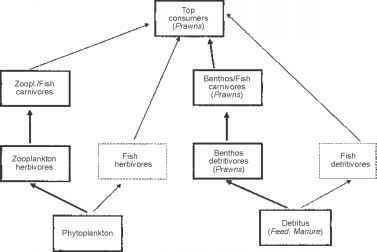 9.2 Simplified food web in semi-intensive freshwater prawn monoculture ponds. Notes: wide arrows indicate the intensity of energy flow. Fish are casual or sanitary organisms; hence nekton compartments are shown in dotted boxes. photosynthesis and respiration. Thus, these parameters are extremely influenced by phytoplankton and they exhibit a spatial and temporal stratification in the freshwater prawn ponds (Valenti 1989; Faria 1994; Moraes-Riodades et al. 2006; Kepeller & Valenti 2006). The diurnal variation of these two parameters was studied in generic aquaculture ponds through mathematical models by Piedrahita et al. (1984). This analysis revealed that when the phytoplankton level is very high, DO2 can reach 14 mg/L in the afternoon and drop to close to zero at daybreak. The benthic stratum is the most important feature of the pond ecosystem because the prawns, their natural food, and their competitors and predators are in close proximity. There is strong evidence that prawns depend fundamentally on food of autochthonous origin for essential micronutri-ents(Stahl 1979; Schroeder 1983; Valenti 1990). In addition, benthic organisms play an essential role in the processes of organic matter decomposition. Therefore, prawn pond management mainly concerns the benthic community and detrital food chains. Fig. 9.3 Main inputs and outputs of materials in a typical semi-intensive freshwater prawn monoculture pond.